I visited my dentist. Normally this would be a pleasant occasion for me, considering I have nearly perfect teeth and hardly ever have cavities. THANK GOD! But this visit, I received bad news. 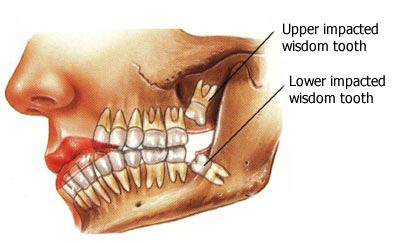 My wisdom teeth need to be pulled effective immediately ... or rather, December. Originally, there was hope my mouth was big enough to keep the wisdom teeth, but that later proved to be false. But, with every bad -- there's a good. My Good? This whole wisdom teeth shpeil has motivated me to draw a short series of dentists comics. Stay Tuned, more to come! It's my birthday, and I can blog about it if I want to! Well, I'm sixteen today. I've already taken the time to pray today and thank my Lord and Saviour for allowing me to get another year older. On one side I'm happy, and looking forward to what the future beholds... And on the other side, I feel like these sixteen years have gone so quickly -- how fast will the next sixteen be? I feel like I can still remember my thirteenth birthday, and that was three years ago! I don't get it: Is it fish or is it chicken? Drawings of eyes -- and then the pscho guy at the bottom. Who so serious? I drew this in maybe 5 minutes. That might be a record time for me... Seriously.